Nintendo Wii Game published 9 years ago by Konami Digital Ent. 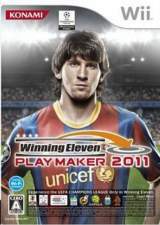 Winning Eleven - Play Maker 2011 © 2010 Konami Digital Ent. Co., Ltd. Released on November 18, 2010 in Japan.